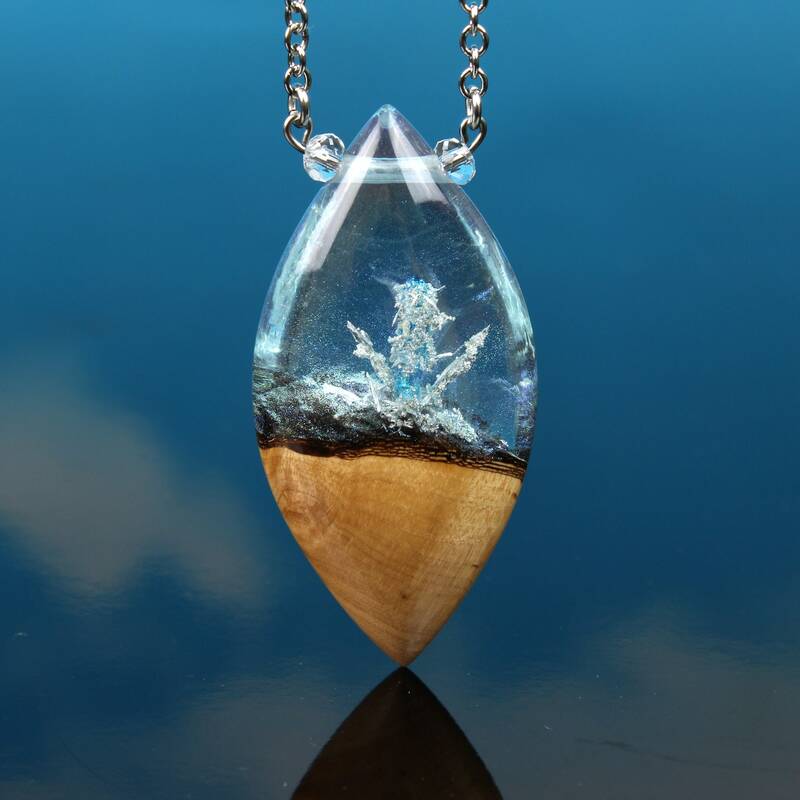 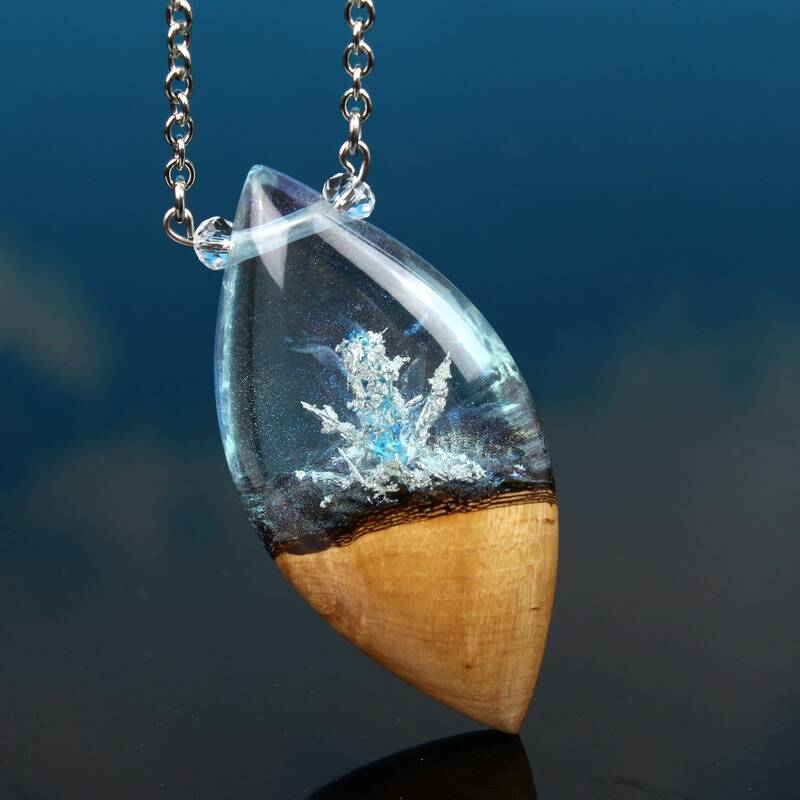 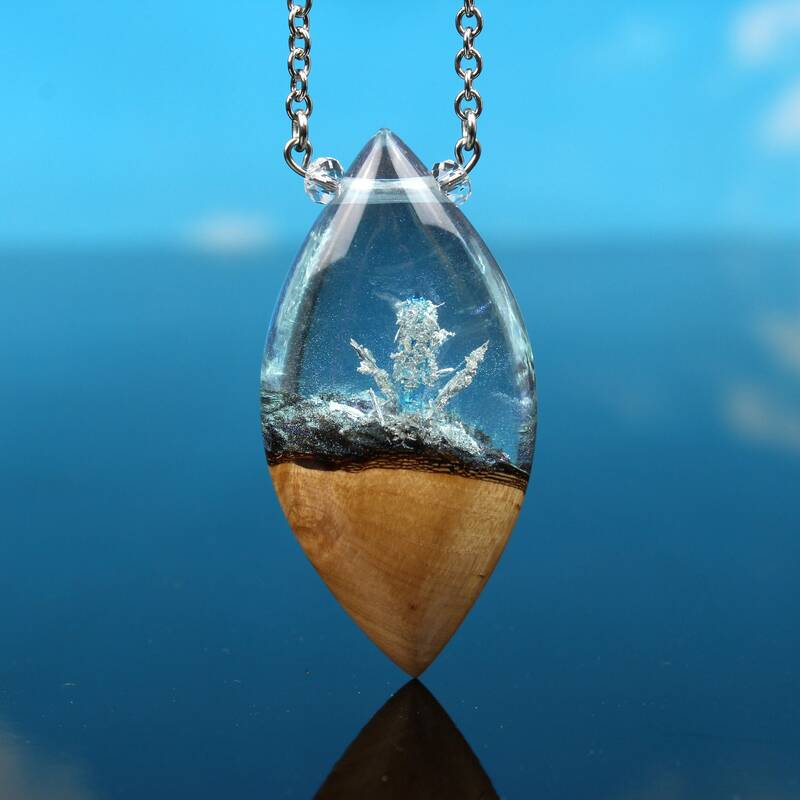 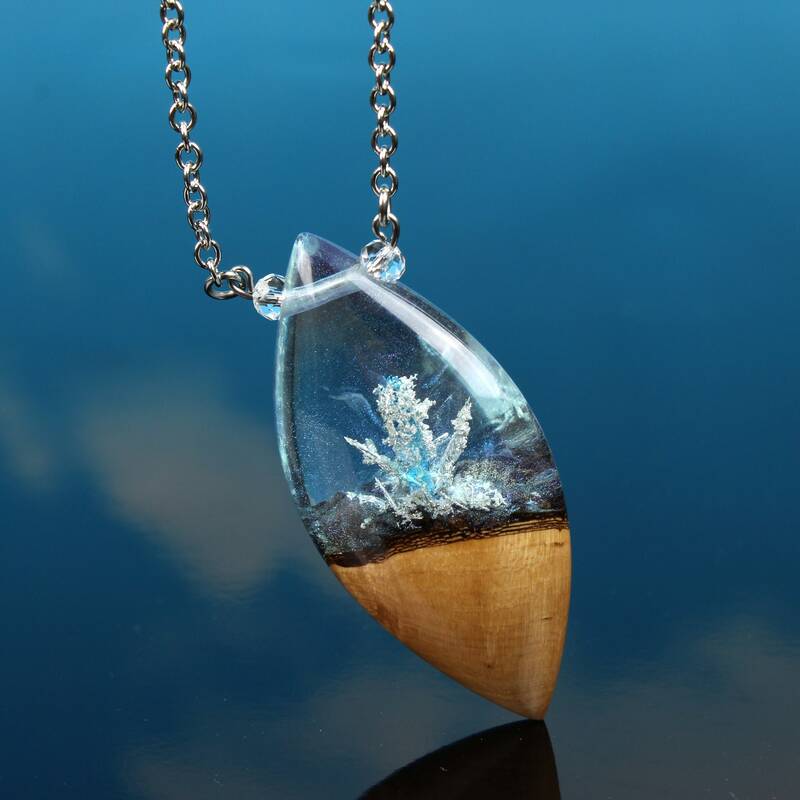 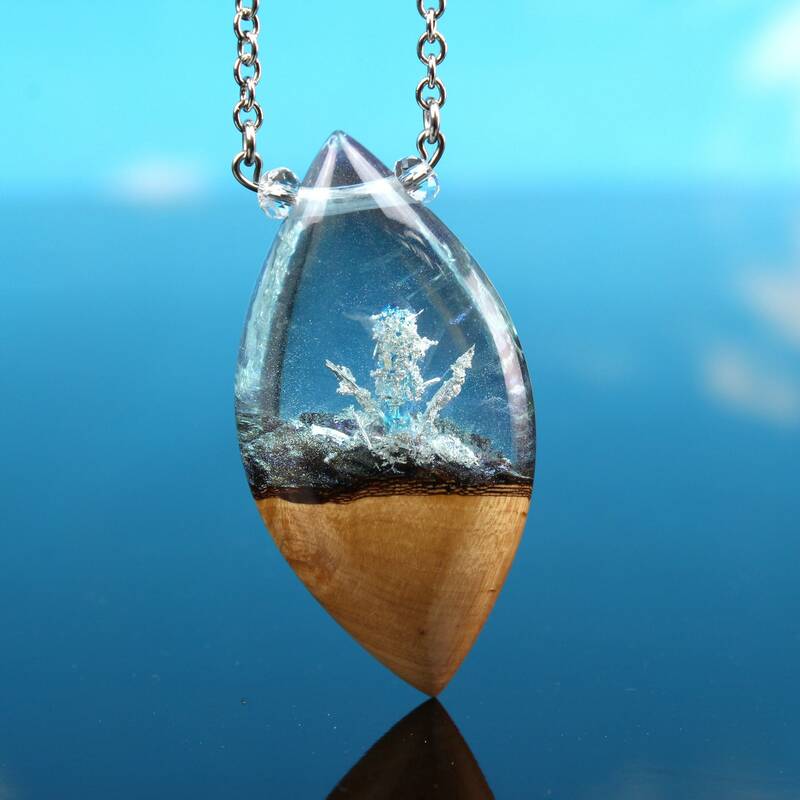 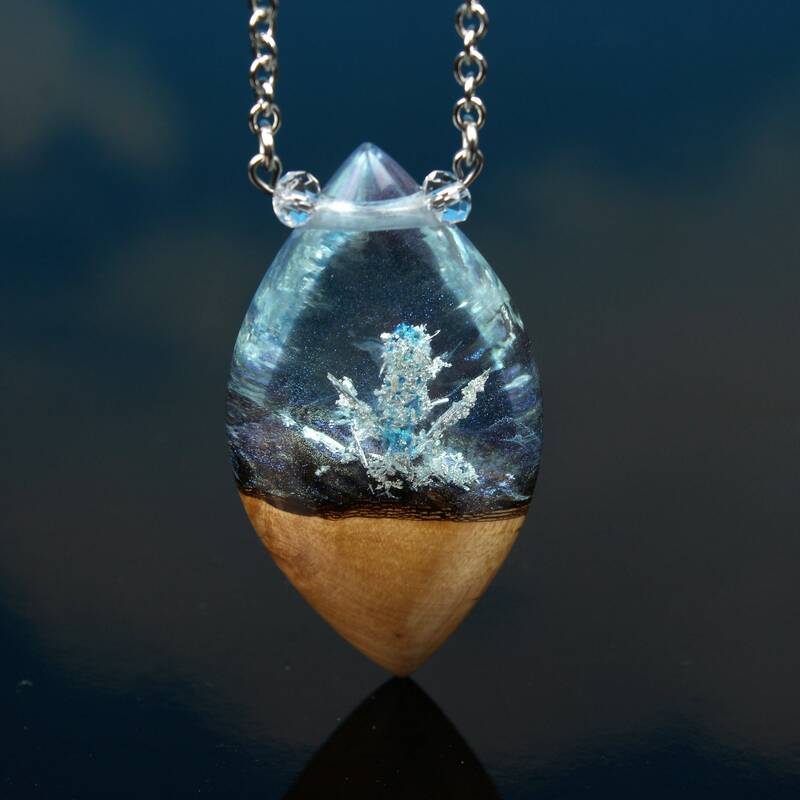 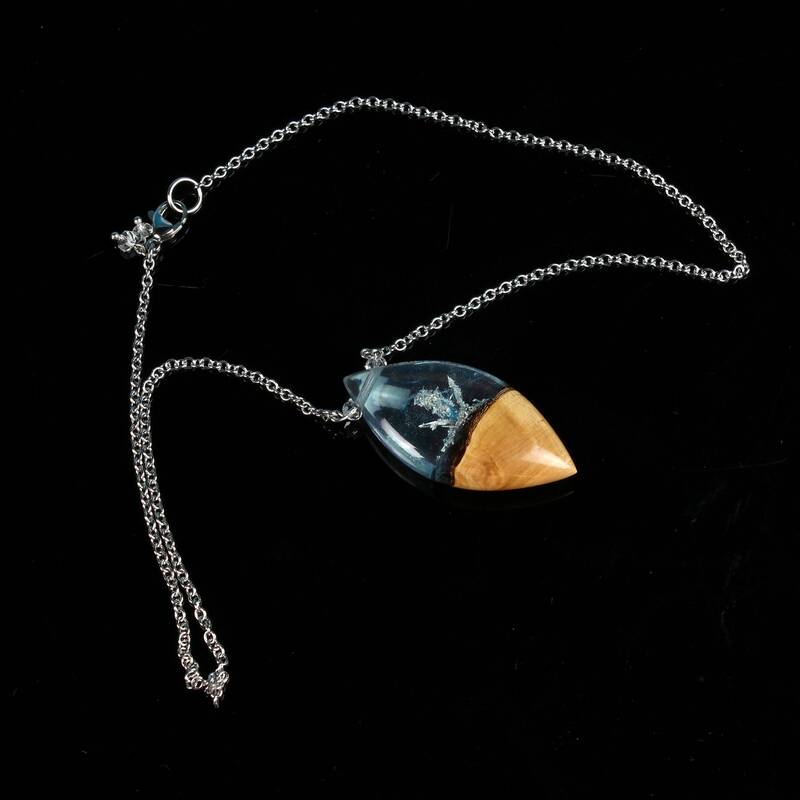 A tiny silver crystal world is trapped within this pendant, with a central quartz crystal that is surrounded by glittering shards of pure silver. 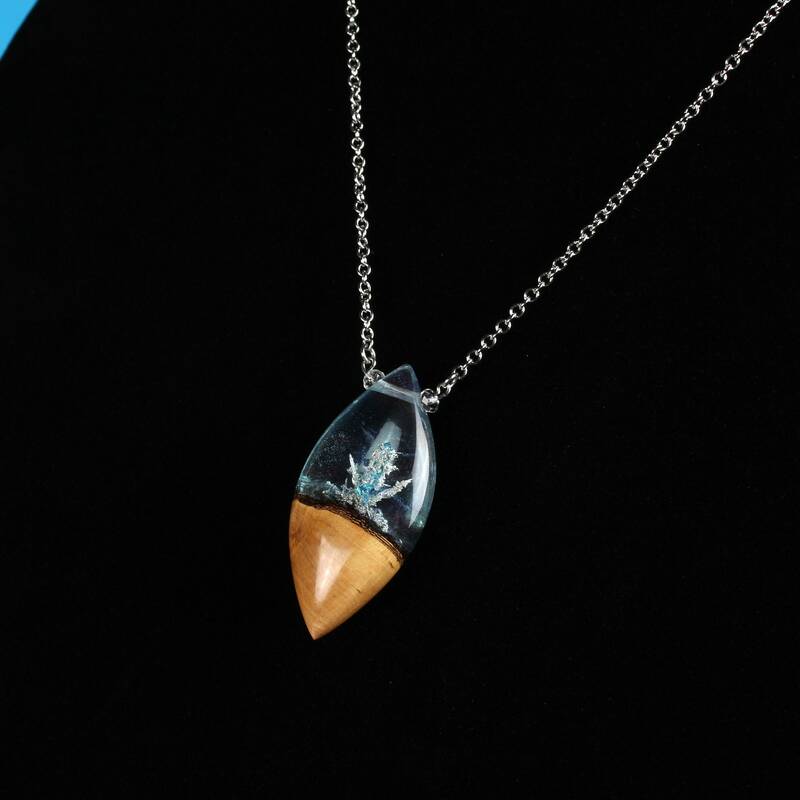 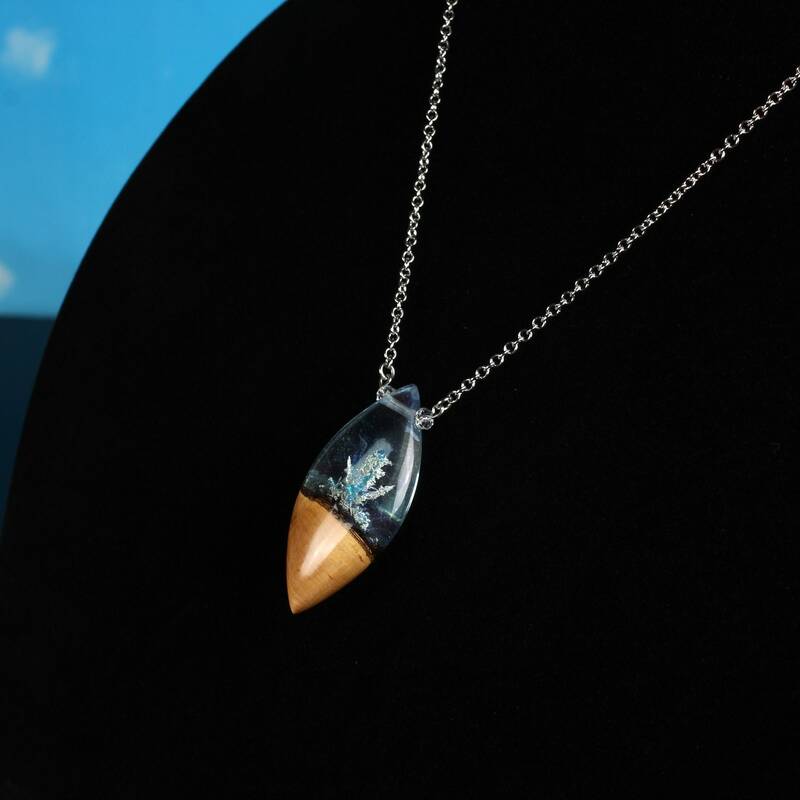 Made with hawthorn wood and tinted resin this pendant was handmade here at Cut Branch on the Eastern shore of Bronx New York. 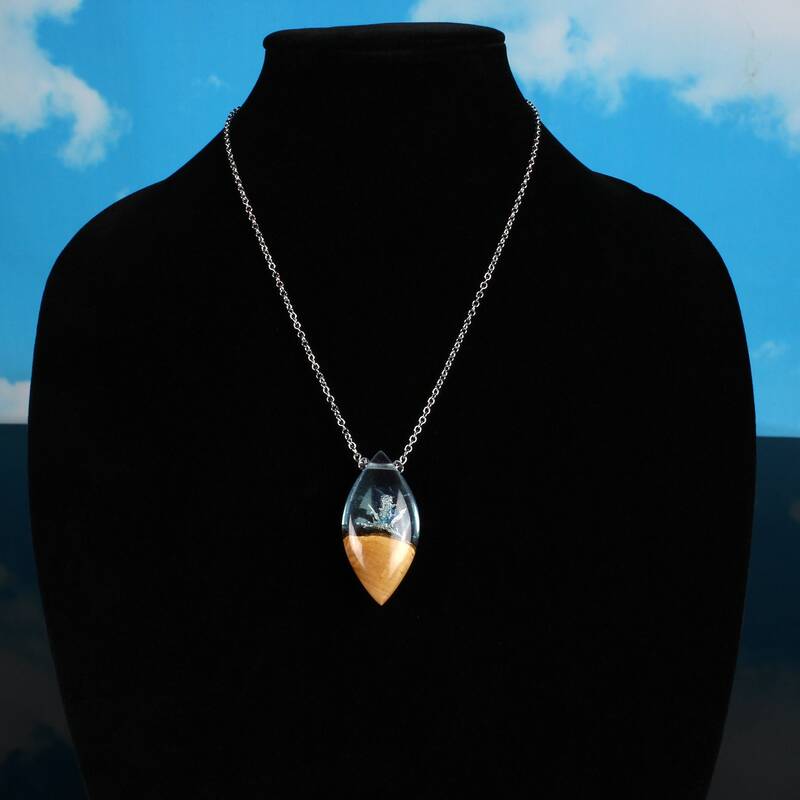 The silver is recycled and chemically refined from old silver utensils and jewelry, and is then grown into crystals in what is called a "silver cell".